know, here in South East London we are spoiled for choice for splendid independents), where we had a conversation about the age range of That Burning Summer‘s readership and decided unanimously that it was definitely one to recommend to both under and over-12s. Do visit the Hot Key blog and watch the new That Burning Summer videos. - Rumours generated by Britain’s Underground Propaganda Committee (UPC) were codenamed ‘sibs’ – the most famous of these was that the British had a new way of setting the sea on fire. - From late 1939, the British government spied on its own people, using secret eavesdroppers in pubs, factories and on buses all over the country to collect rumours which were sent to Whitehall to be analysed. - Four enemy spies landed on the coast of Kent in the summer of 1940 – all were caught red-handed. 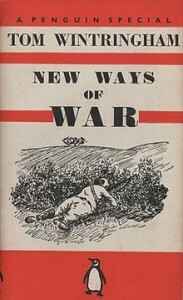 - Tom Wintringham, former British Battalion Commander in the Spanish Civil War, opened the first Home Guard training school at Osterley Park in 1940, staffed by International Brigade vets and Spanish explosive experts, but he was never allowed to join the Home Guard himself because membership was barred to Communists. - Over 200,000 Poles fought under British High Command between 1939 and 1945, but the only Poles to take part in the Allied Victory Celebrations in London in 1946 were musicians in the RAF’s central band. Now buy That Burning Summer and re-live those days of doubt and uncertainty, when invasion was anticipated at any hour, and you never knew who you might find lurking behind your chickenshed….